The Australian Government is planning to have all citizen services online by 2025 in an ambitious plan to redesign the way government interacts with constituents. 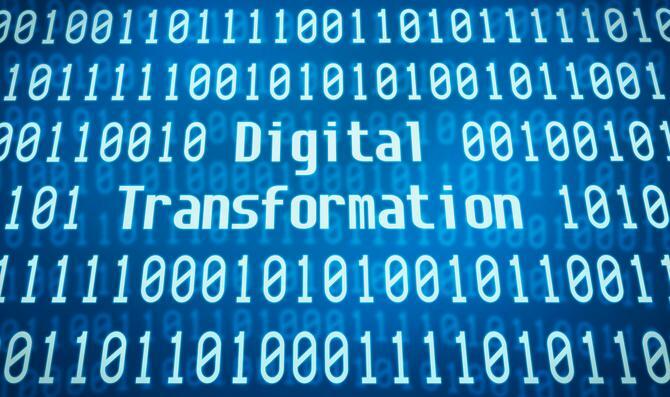 Announced by the Minister for Human Services and Digital Transformation, Michael Keenan, this week, the Government’s first Digital Transformation Strategy outlines key goals and objectives for taking a digital-first approach to services. It also includes 100 milestones set to be over the next 24 months to keep things on track. Minister Keenan said the digital transformation agenda is being accelerated to not only meet community expectations, but also set foundations for prosperity in the digital age. “Imagine never having to queue up in a government office again because every sort of transaction you can think of will be available online –whether it is applying for welfare, payments, registering a birth or a death, or event setting up your business end-to-end,” he said. The department has already spent significant time and effort growing its digital assistant offering, launching ‘Charles’ last week to answer common questions for those who hold a myGov account. It’s one of several run by the department around customer service. Last month, the government also announced a pilot of a new digital identity system, which it said is not a new database of information, but a smarter use of existing information it holds. This new digital ecosystem is governed by rules and standards called the Trusted Digital Identity Framework. For Minister Keenan, the overarching ambition with the latest long-term strategy is becoming more customer-led, and to restructure services around life events of the citizen. For example, he noted major life events like the birth of a child or death of a loved one require interactions with multiple agencies across Federal and State/Territory Government departments. As one of the first steps, Keenan said a trial of its ‘Tell us once’ program will kick off next year, enabling individuals to inform one point of contact in the chain about about a change and have it taken care of across governments. There’s also a ‘Child Care Marketplace’ on the cards to help people connect with child care providers. By June 2019, the government is also planning to have a new API standard for integrating platform services, digital identity for Newstart and Youth Allowances, a digital sourcing framework and enhancements to the Digital Service Standard, automated decisions for veterans through myService, digitised household surveys, Medicare newborn enrolment and a language translator for Centrelink services initially focused on Chinese and Vietnamese. “That is what digital transformation is truly all about – making life simpler and easier for all Australians,” he said. For example, myGov will act as one integrated digital service where citizens can find out everything from how to apply for a child care subsidy, to finding the nearest community service that fits car seats, Keenan said. In the next nine months, eight pilot programs under MyGovID are set to launch. Keenan stressed the emphasis on privacy throughout the strategy and transformation, and said the department will consult regularly around this to ensure the legislative and regulatory frameworks are appropriate. Sharing the seven-year strategy at this point was also about giving the public the opportunity to have their say, he said. “This is vitally important because the rollout of digital services will only be successful if users have confidence in them,” he said. In a speech announcing the plans, Keenan also pointed to a raft of digital-led innovations made by government in recent years, including 98 per cent of Medicare claims now being processed on the spot at point of service, the Smart Gates customs system using facial recognition technology to verify the identity of travellers, and its failed ‘Nadia’ AI prototype providing a personalised digital assistant to each Australia. “Unfortunately, Nadia wasn’t quite ready at the time to deliver on the promise, but technology is evolving rapidly. I am confident the day when such assistants will be around us – both in government and in private enterprise – is not that far away,” he added. “Having your own dedicated government digital assistant also means that, as a government, we will be able to deliver truly personalised services.